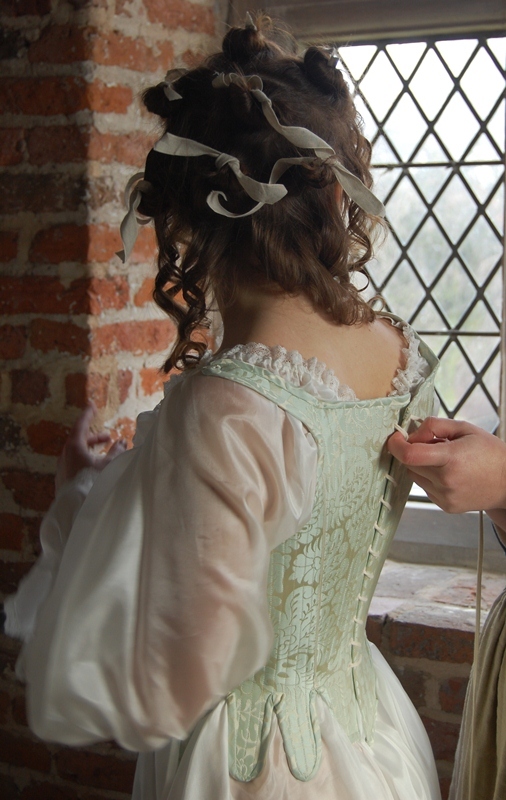 The 18th century is probably my favourite period of dress. I always begin any period of dress with the foundation garments as they dictate the fashionable period shape. 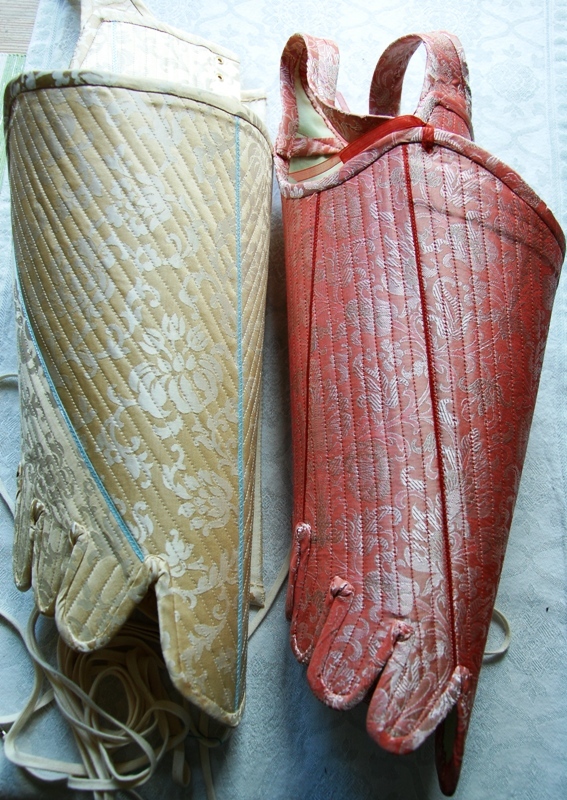 I have recently made a number of new pairs of stays – eau-de-nil silk damask (worn by actress Tiffany Haynes) and the cream silk damask and salmon-pink silk damask, both rolled for storage. These now add to quite a collection of stays!